Do you love learning and growing and caring for others? Do you have a heart for elder adults? If so, Pear Valley Senior Living may be the place you are looking to make a difference in the lives of the Greatest Generation! 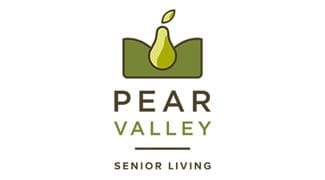 We believe as a team member at Pear Valley Senior Living, you have an opportunity to shine & demonstrate creativity — both in service and creating a loving home-like experience in the Compass Senior Living family. We value the difference you can make in your community! Download and complete the application to start your journey. You may print it and stop by the community or email it to us at sayhello@pearvalleysl.com.